For the absolute coolest in waste-free lunch products, look no further than our new snack flap snack pouches - in anime blue. What better way to ensure all that expensive lunch gear comes home than to make it so cool they want to keep it. 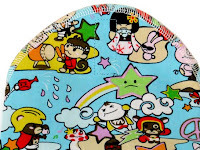 Kids love cartoons and they'll love our new Japanese anime design. 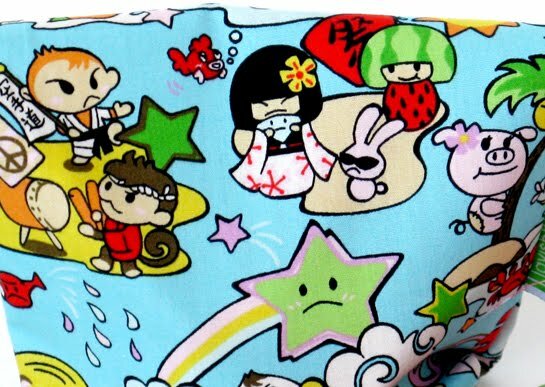 Peace signs, grumpy stars with shades, gladiator bears licking popsicles, karate chopping monkeys - quirky, fun and so much more! 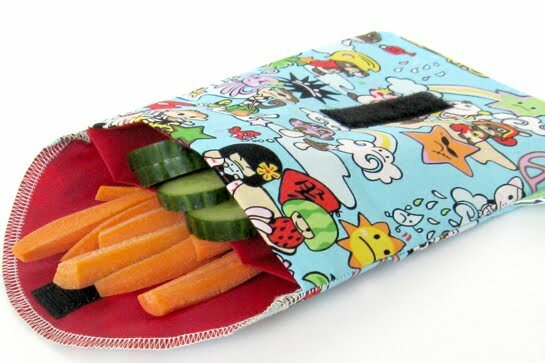 Each time you look at these snack pouches, you see something new. 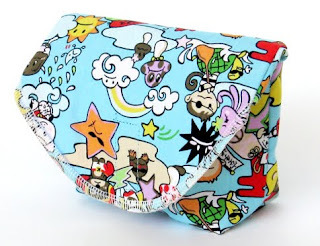 Ideal snack pouches for girls and boys in the brightest of bright colours on cool blue. The 100% cotton exterior fabric is lined with a waterproof, machine washable interior that is free of phthalates, BPA, PVC and lead. Choose from our single snack flap with a wide bottom panel, ideal for muffins, buns, apples, etc. or our snack flap duo that keeps two different snacks separate. Made in British Columbia. For more details, click here.